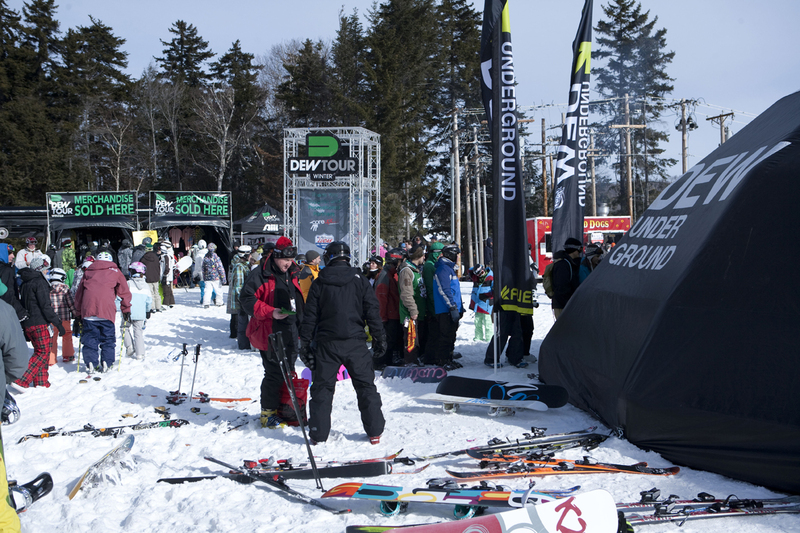 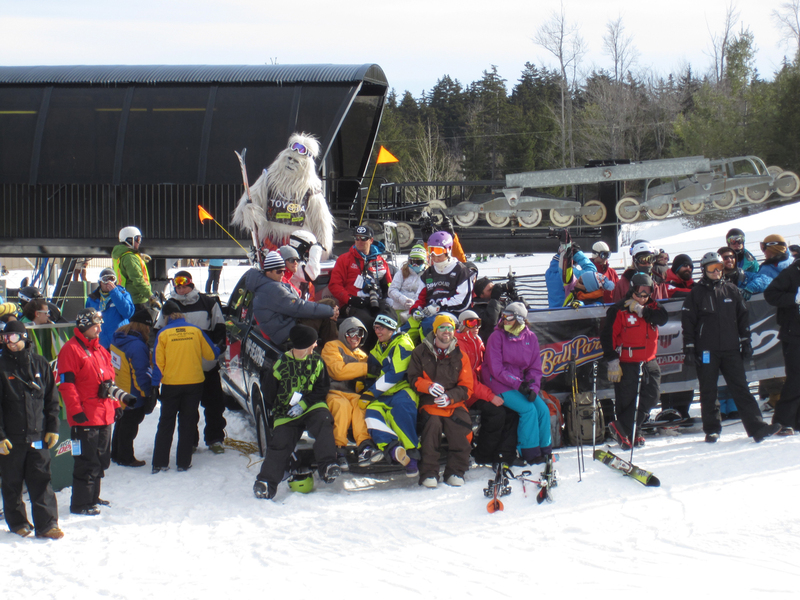 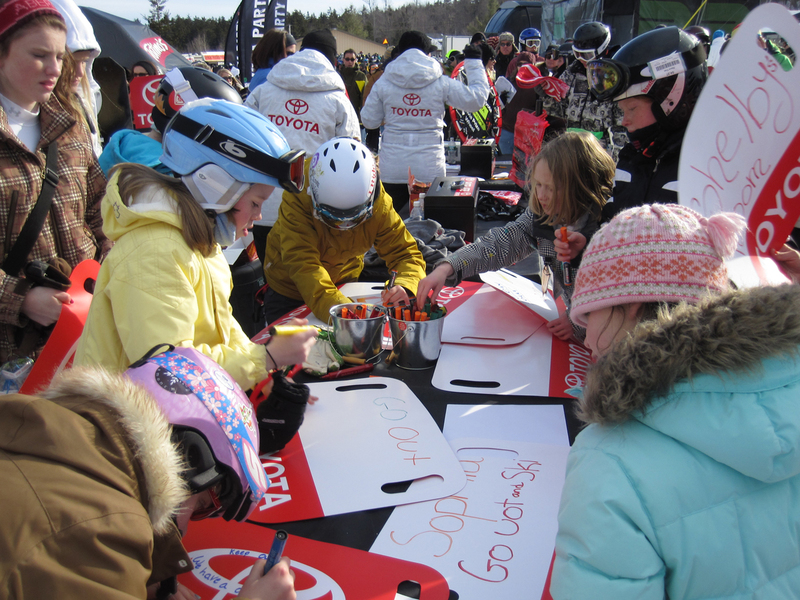 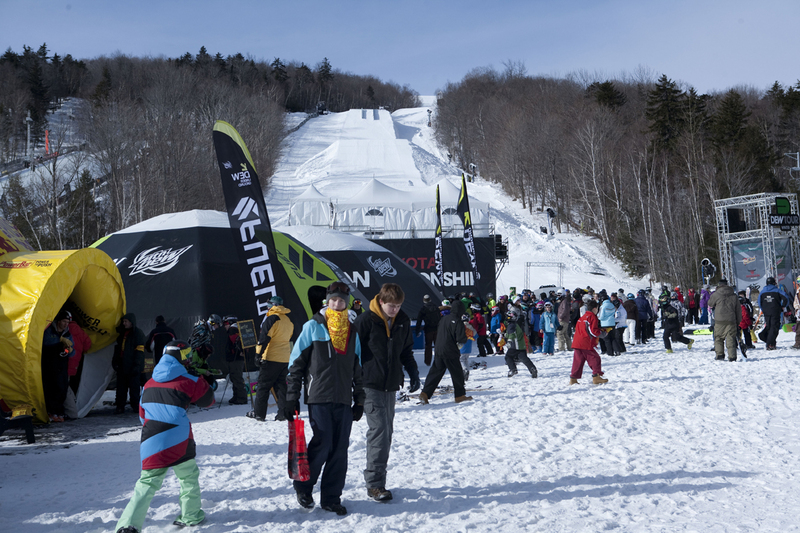 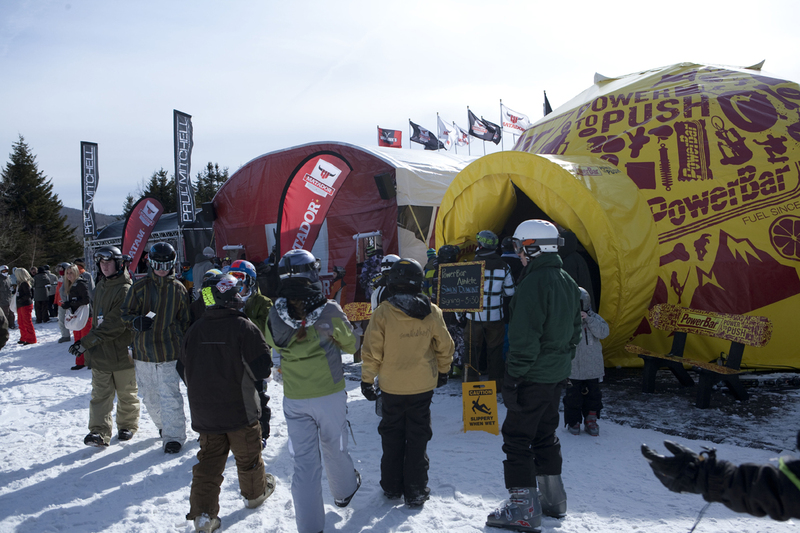 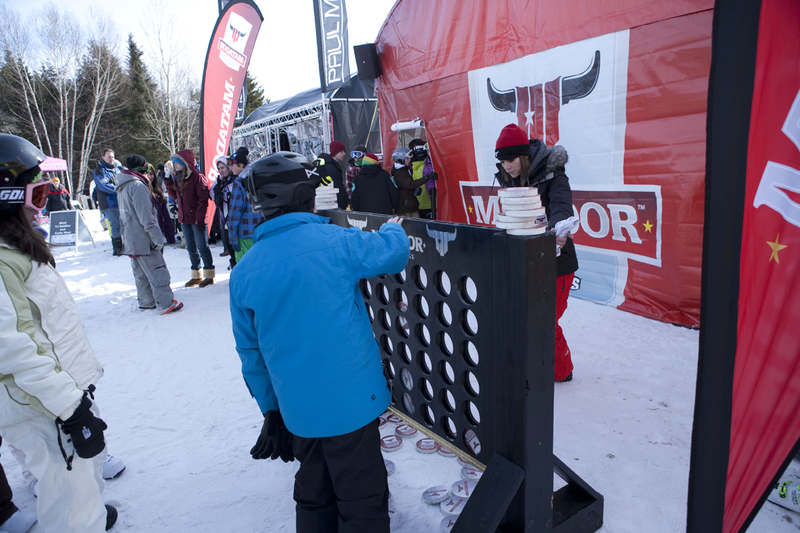 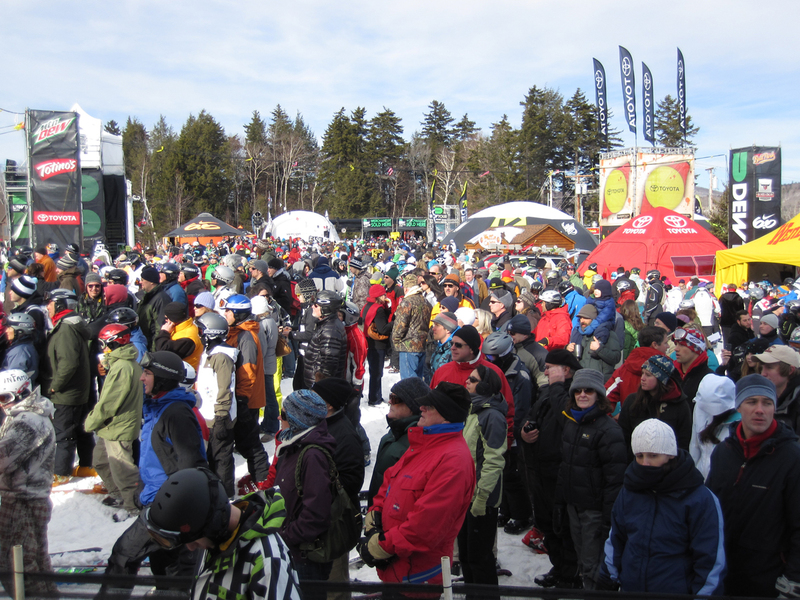 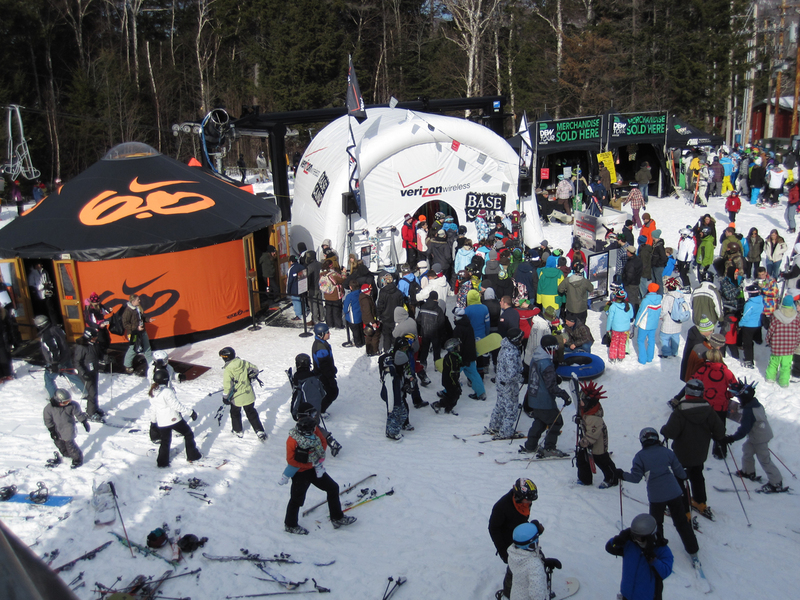 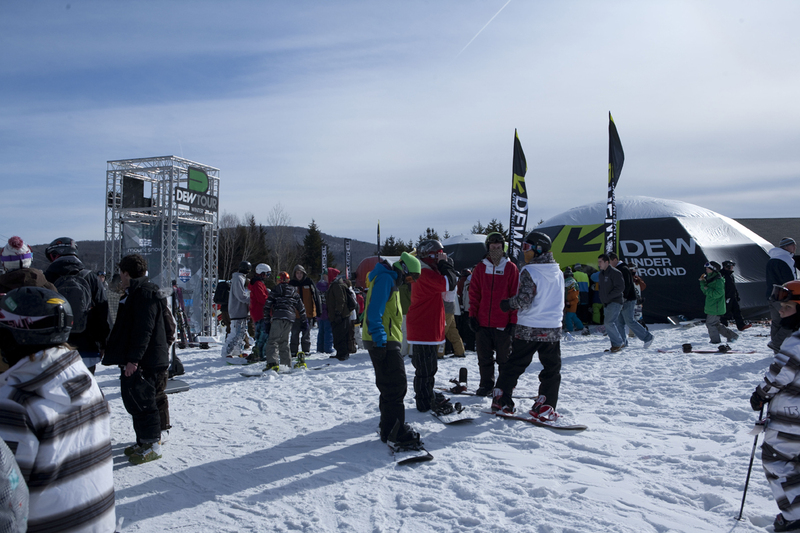 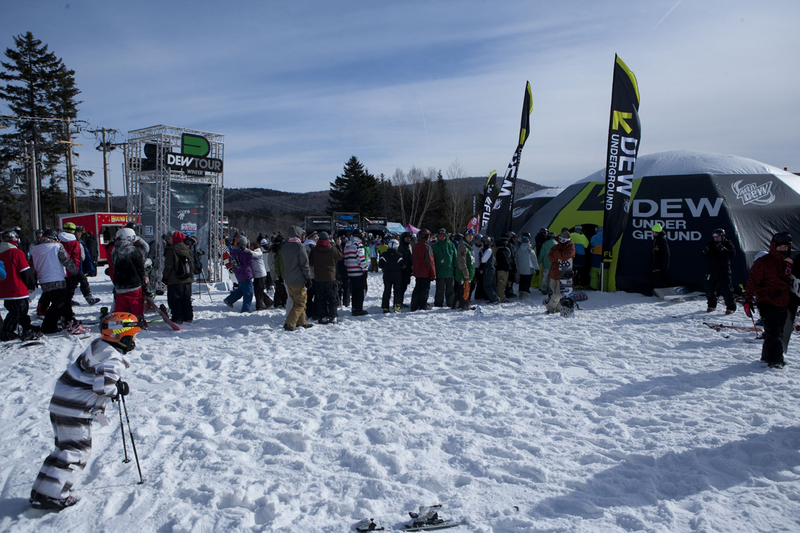 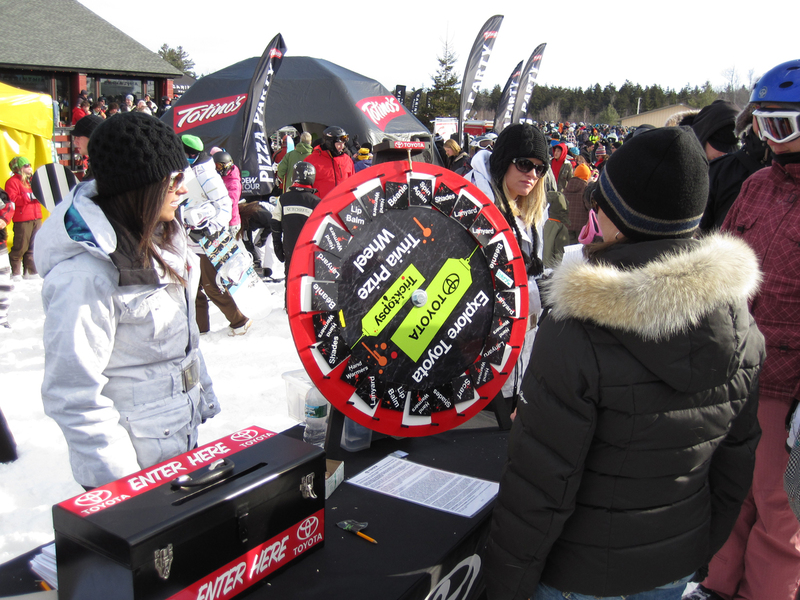 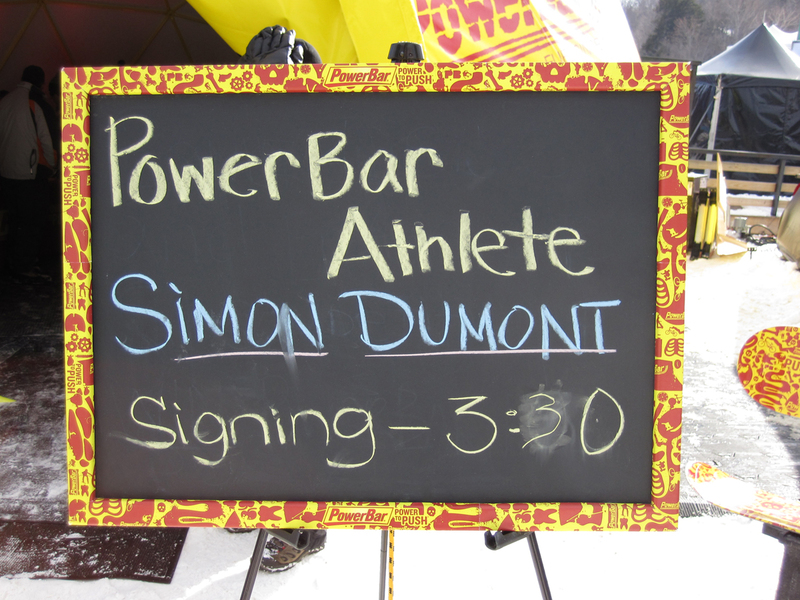 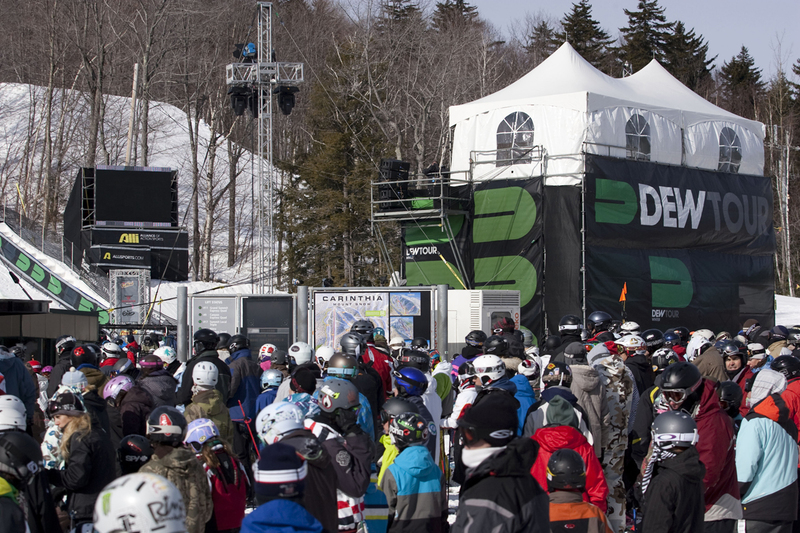 Festival Village at the last stop on Winter Dew Tour, the Toyota Championship at Mount Snow, Vermont supplied spectators with freebies, snacks, autographs and even bull rides. 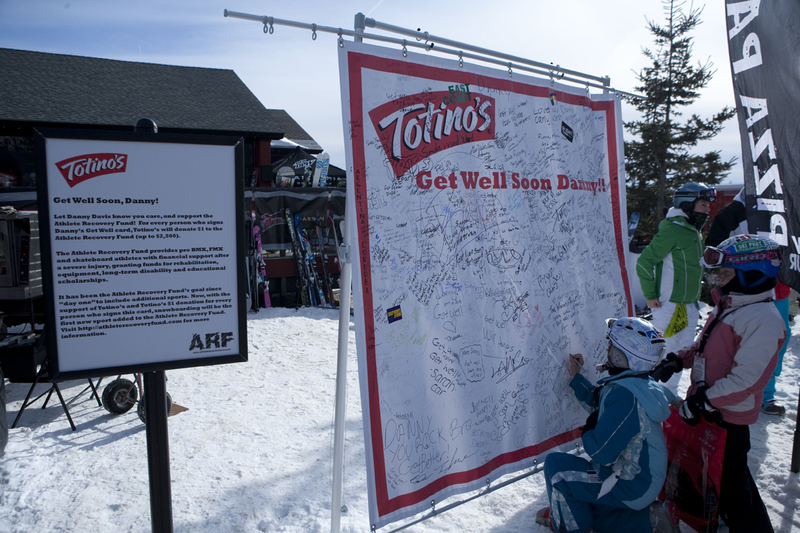 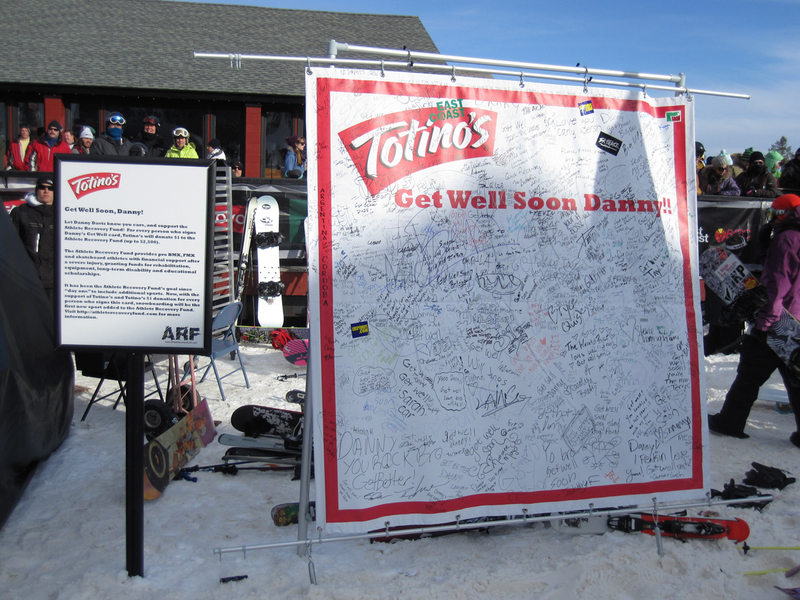 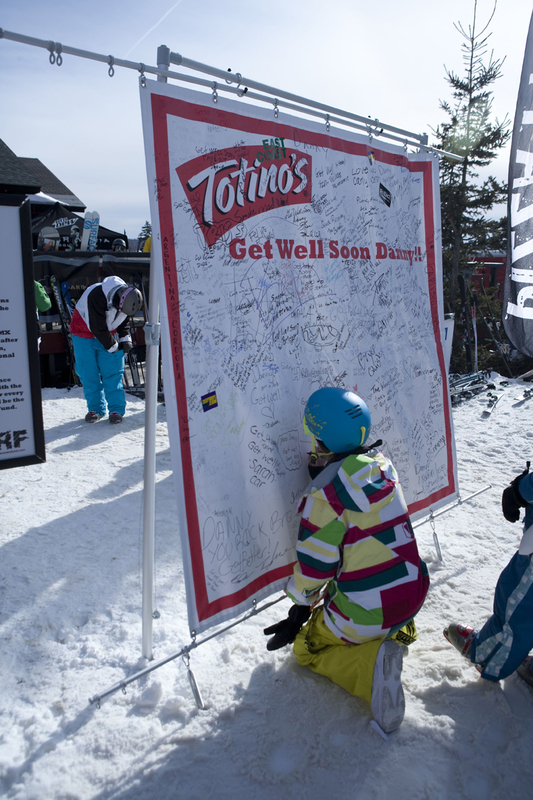 Pretty much the "Fun Zone" of the Winter Dew Tour saw record breaking crowds sampling Powerbars, Mountain Dew and Totino's Pizza and Pizza Rolls. 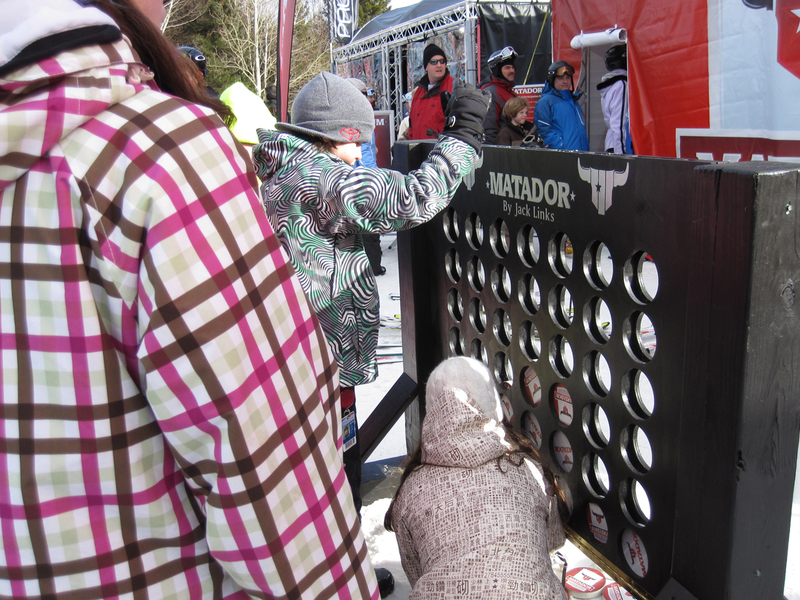 Once they filled up they could stroll over to the Matador Tent eat some jerky and see if they could keep it all down while riding the mechanical bull. 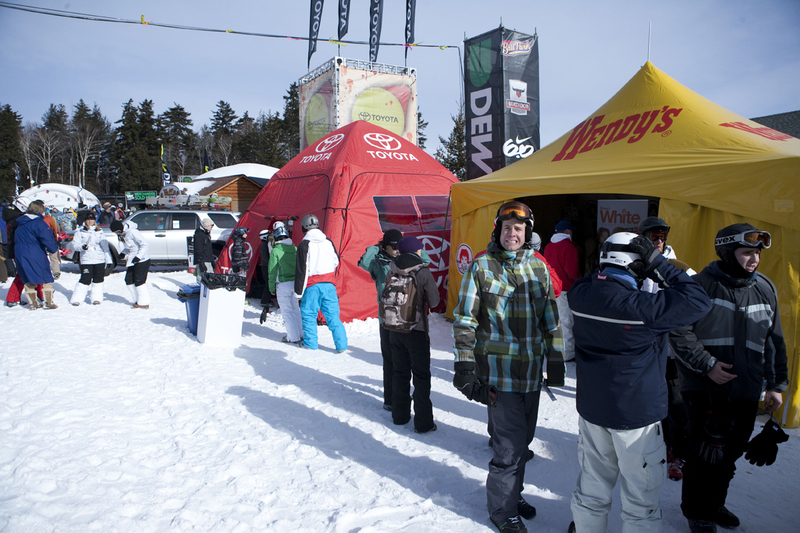 The Toyota Yeti as kind enough to not eat anybody and even posed for pictures when he was not polishing the Tacoma. 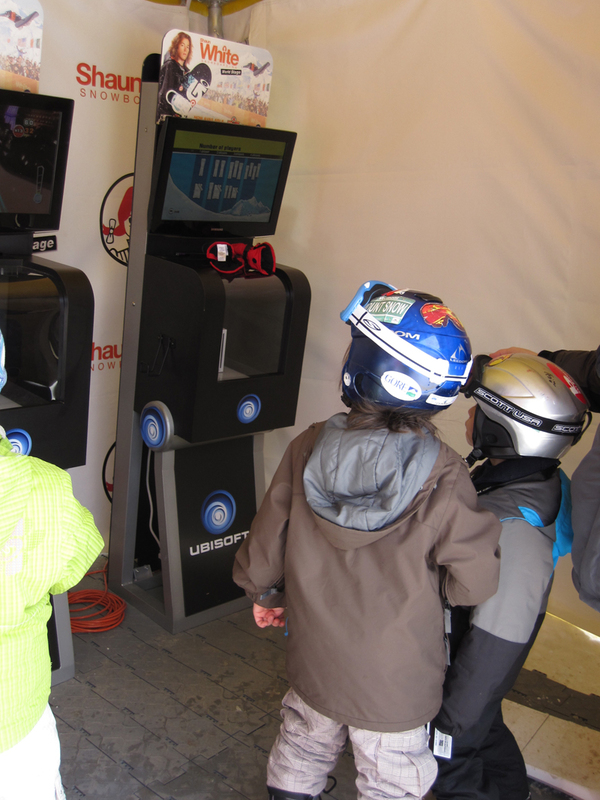 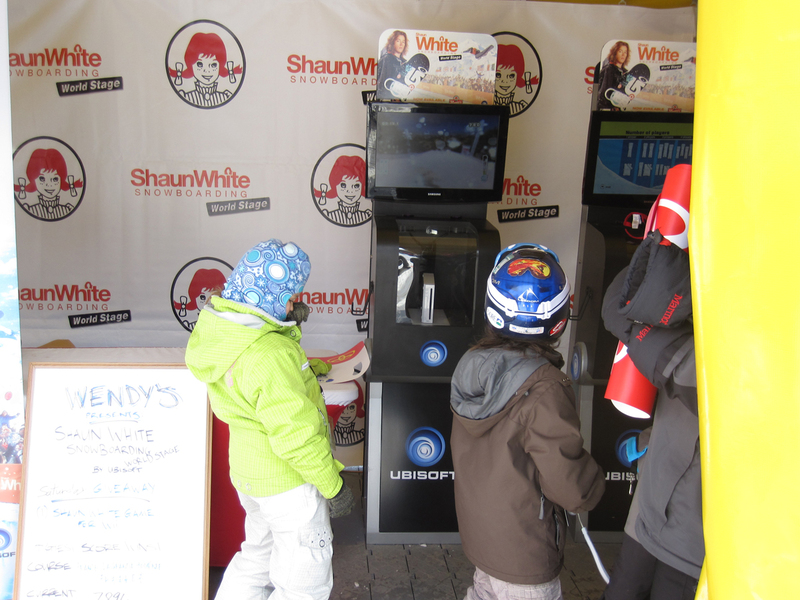 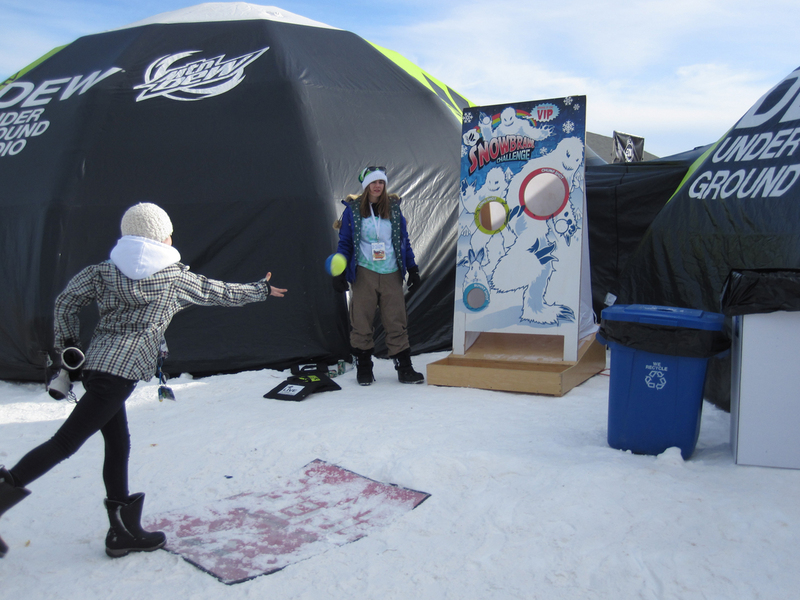 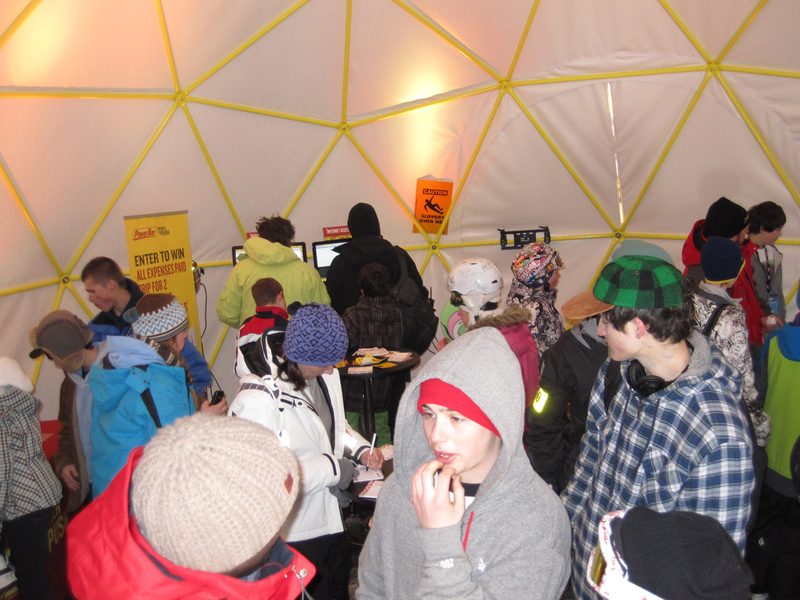 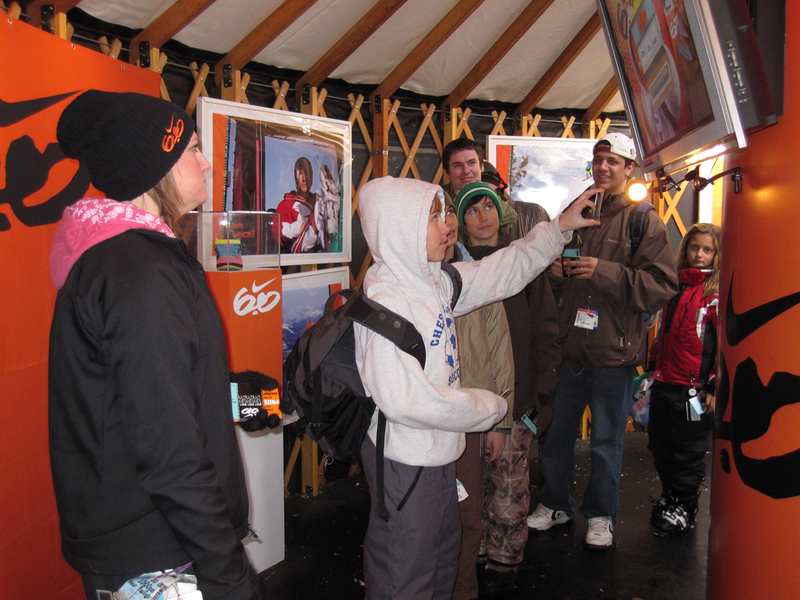 The Wendy's tent showcased the new Shawn White video game World Stage where kids kept their thumbs good and warm. 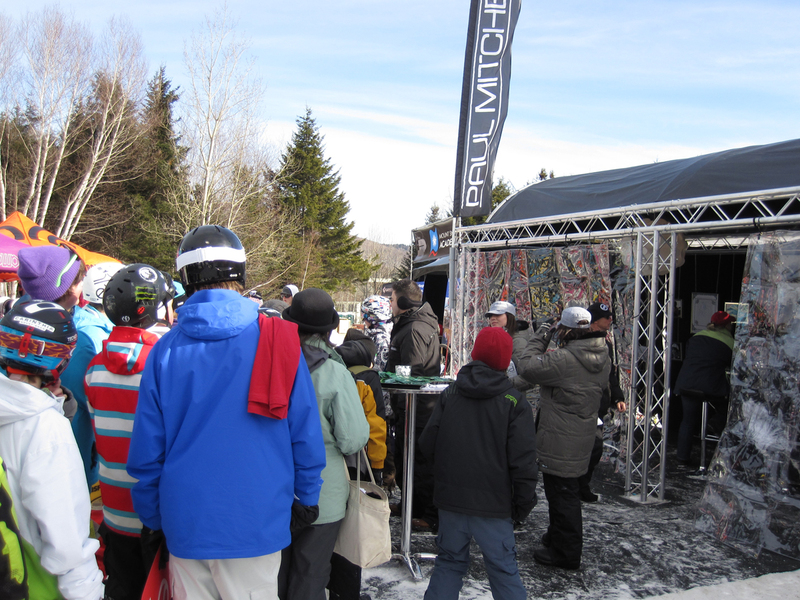 Paul Mitchell provided samples of their earth friendly products while giving hand massages. 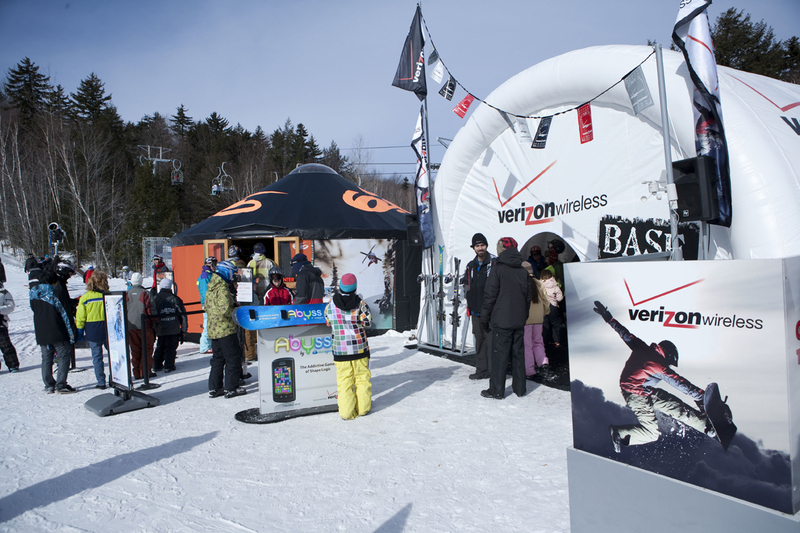 The Verizon "Base Camp" showed off their latest smart phones and had Freeskier Tom Wallisch stop by for autographs. 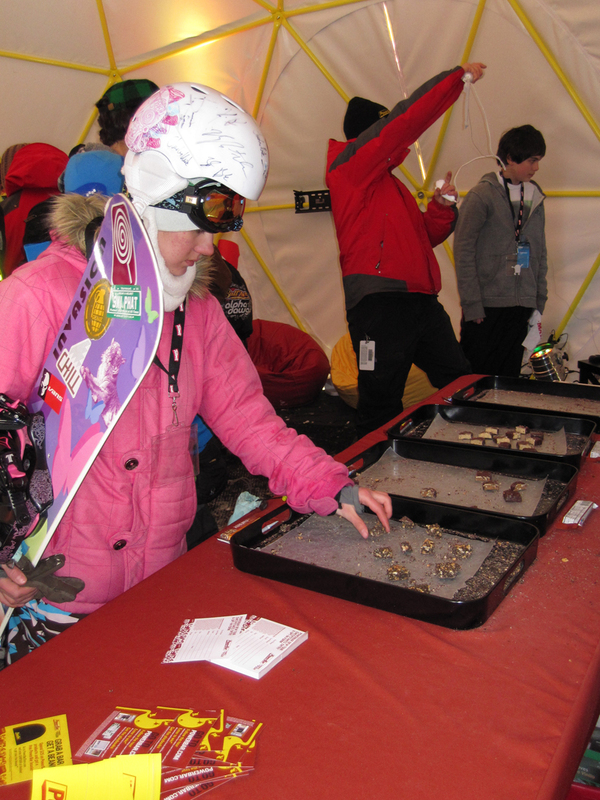 Visitors were also able to demo snowboards from Ride, Signal and Todd Richard's Omatic Snowboards as well as skis from CoreUPT. 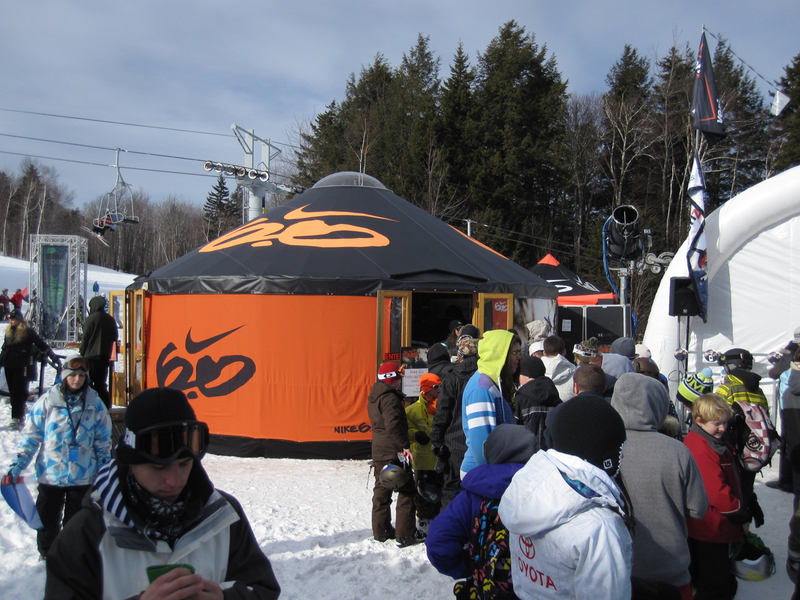 The Nike 6.0 Yurt gave event goers giveaways plus the chance to design their own shoes with Nike iD and autographs from many of the Nike 6.0 athletes. 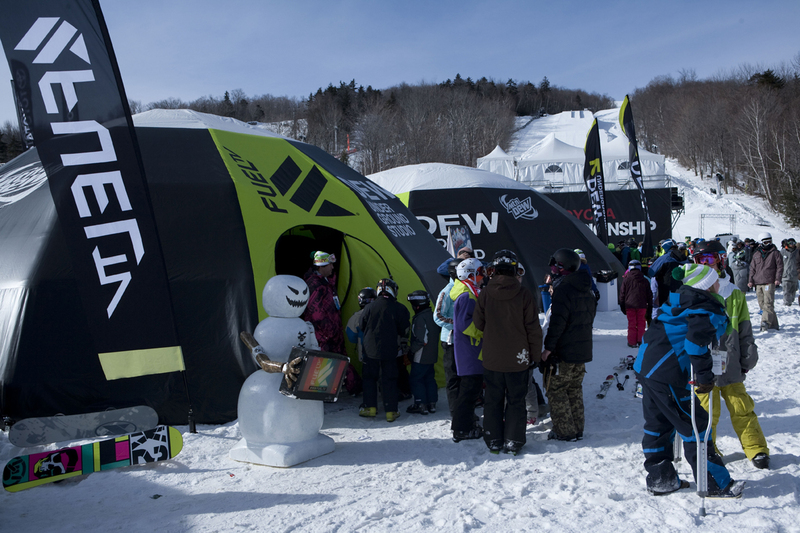 Fuel TV and The Dew Underground was a crazy maze of entertainment where you could screen print a bandana, guzzle some Dew and check out artist working on Green Label Art project.